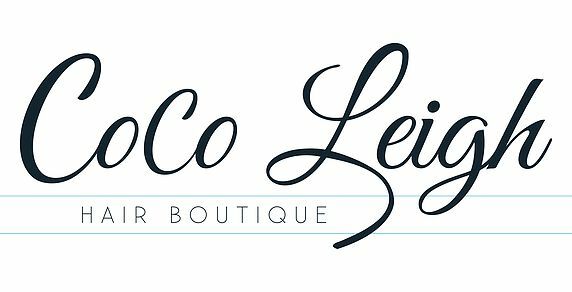 When you walk into our hair salon, you will see everything you need to know about Coco Leigh Hair Boutique. At Coco Leigh Hair Boutique we are focused on creating beautiful work and offering the most comfortable atmosphere for you when you visit. We place tremendous value on education and strive to stay up to date with the latest trends in hair color, hair cutting, makeup, and skin care. We train and mentor our staff through every step of the process and consider education a career-long endeavor. 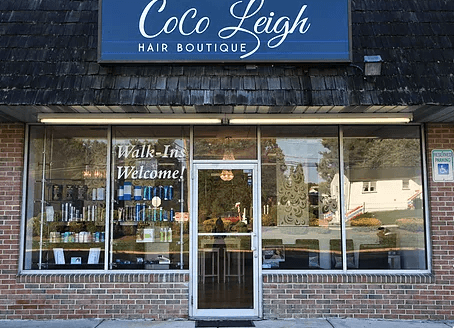 At Coco Leigh Hair Boutique, you will find a group of professional career driven individuals with the drive to please each person to walk through our door. You can find our work in the Harford’s Heart Style File. Always expect a friendly face and a warm greeting when you visit Coco Leigh Hair Boutique. Unlike any other hair salon, we believe your hairstyle, hair color, and makeup should be a reflection of your personal style. We will always take into consideration your needs and wants when it comes to your beauty. We like to factor things like lifestyle, face shape, skin tone, eye color, skin type, and hair type into your consultation so we can get to know you the very best. We will help educate you on current beauty trends and find the perfect look for you. Our goal is to offer you excellent service. 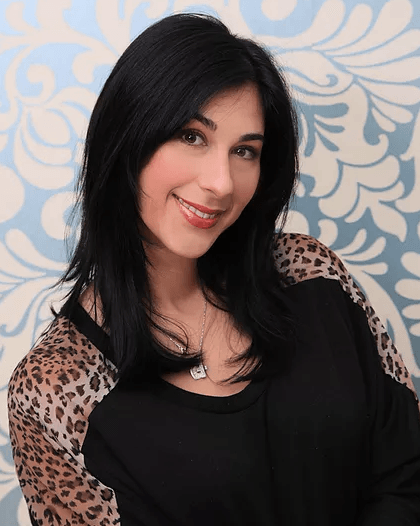 Nicole Markopoulos-Nikitaras is the founder of Coco Leigh Hair Boutique. After 4 years of undergrad studies at Stevenson University, she graduated with a degree in Visual Communications. Nicole knew that the creative field was where she needed to be. Marianne her mom had many years of experience as a hairstylist and always inspired Nicole to become the best artist she could be. Back in 2010, the market was not calling for many graphic designers, so Nicole decided to go back to Cosmetology school and get her license as a hair stylist. She did not pick just any hair school to get her education from, she chose the Eric Fisher Academy in Wichita Kansas. This school has been credited from all over the country. She graduated top in her class, voted class president, and won the Eric Fisher “overall look” Certificate for the 2011 runway fashion show. This is when Nicole knew that she had dreams of becoming a salon owner. Eric Fisher Platform artist for the Aquage company and Fashion Photographer for America’s Next Top Model offered Nicole a job to stay in Kansas and work as a stylist in the award winning Wichita salon. Nicole wanted to be close to her family in Maryland, So she returned and followed her dream in becoming the proud salon owner of Coco Leigh Hair Boutique.